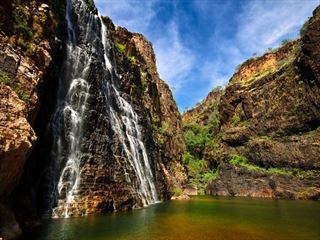 Join the famous Jumping Crocodile Cruise and travel into the Kakadu National Park for lunch and a visit to the Bowali Visitor Center. You’ll have the opportunity to view the ancient Aboriginal rock art and take a guided walk to the top of Ubirr where you’ll be treated to phenomenal views of the surrounding scenery. Today you’ll take a guided walk at Nourlangie to see the ancient rock art, before continuing on to the Warradjan Cultural Center. 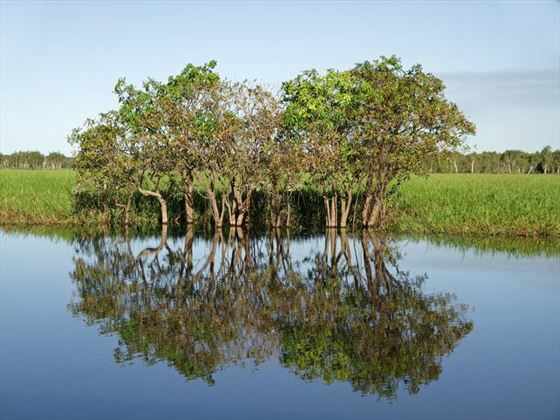 Afterwards, take a cruise on the famous Yellow Water Billabong to see the amazing wildlife and saltwater crocodiles. 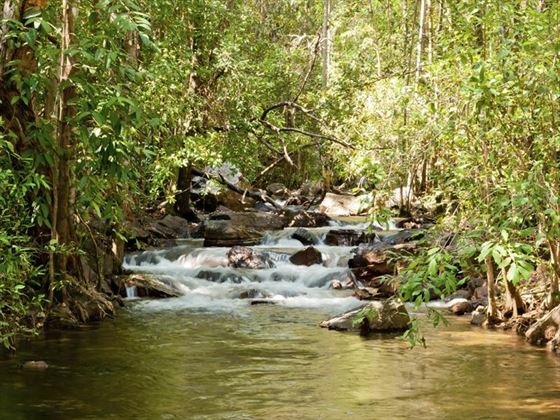 In the afternoon, travel to Katherine via Pine Creek. 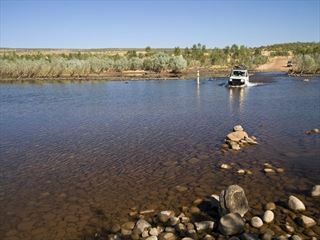 Take an early morning cruise through Katherine Gorge and watch the crocodiles basking in the sun as you journey through the scenery. Proceed to the informative Nitmiluk Visitor Center for breakfast where there will be time to have a look around before heading onwards to Edith Falls. 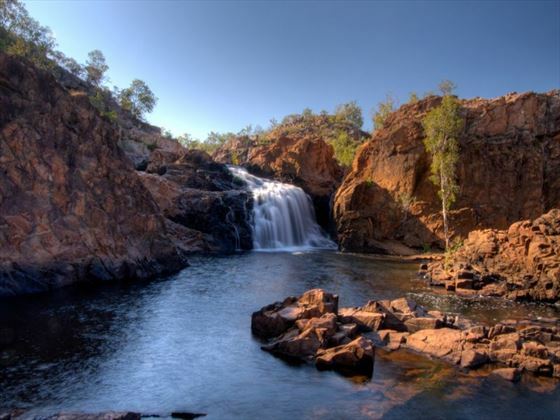 Take a dip in the natural pools then stop at the Adelaide River War Cemetery, en-route to Darwin. 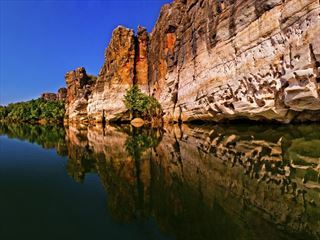 Travel via Adelaide River and the Marrakai Plains to head into the Kakadu National Park for a guided walk to see the Aboriginal rock art at Nourlangie Rock. 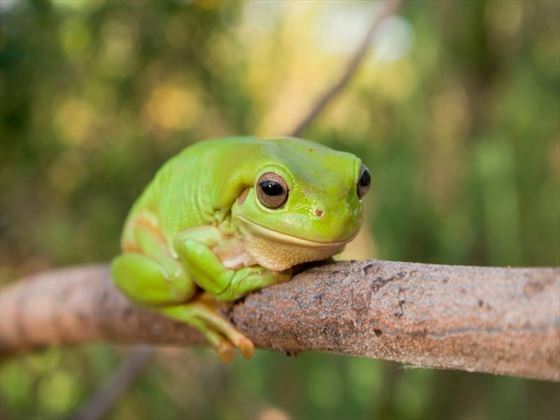 After lunch, you’ll join the Yellow Water Billabong Cruise to see the birdlife and saltwater crocodiles before visiting the Warradjan Aboriginal Cultural Center. In the morning, stop off at Ubirr for a short walk to the Aboriginal rock art then join the Guluyambi Cruise along the East Alligator River to see the saltwater crocodiles. You’ll be accompanied by an Aboriginal guide and, with special permission from the local people, you’ll have the opportunity to go ashore in Arnhem Land. 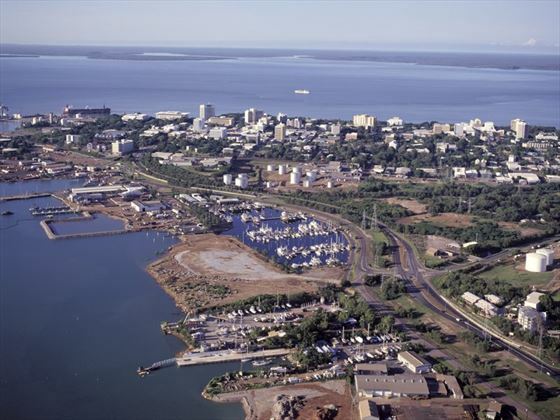 Visit the Bowali Visitor Center then return to Darwin in the evening.